I am especially proud of this pro bono project because it is something that will be used by legions of neighborhood children for years to come. Our local public elementary school initiated a before-school running club with the dual purpose of encouraging the healthy habit of daily exercise while simultaneously burning off a bit of excess energy prior to the start of the school day. The existing playground surface was decomposed granite (course sand). An unintended consequence of the run club was a significant dust cloud that was kicked up when used by several hundred children. The poor air quality wrecked havoc with asthmatic children and forced the surrounding downwind classrooms without A/C to keep their windows and doors closed. With the run club in jeopardy of being terminated, the P.E. coach asked me to help him convert the dirt play yard into a 21,000sf turf infield ringed by an 1/8 mile asphalt track. I designed the project and the parents raised the funds to convert the field. 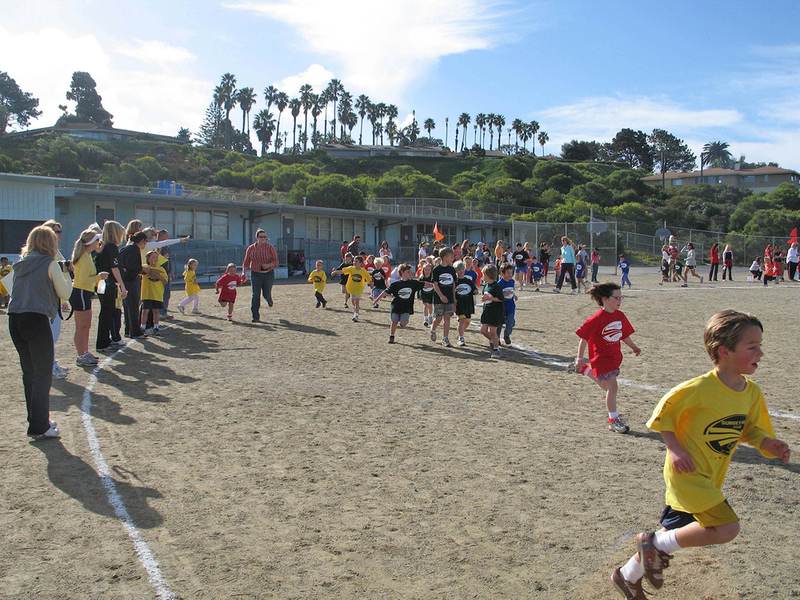 Each year the new track and field hosts the school’s most significant fund raiser, a jog-a-thon. I am especially proud of this pro bono project because it is something that will be used by legions of neighborhood children for years to come. My children have each recorded a 100 miles-plus in the run club over the course of a school year.